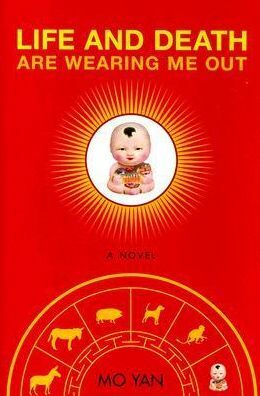 Writing a post about the books related to China I read during the year has become a tradition on this blog! I made these lists in 2015, 2016 and 2017, so 2018 couldn’t be any less! However, as I mentioned in my last post, in 2018 I was quite busy reading books about pregnancy, birth and breastfeeding, and then I went on to finish the whole Harry Potter saga, so… I only read 4 China related books! According to Goodreads, where I register all my readings, in 2018 I read 34 books (in English and Spanish) and 5 comic books, and my total page count was 14606. I read more than in 2017 (when I was busy organising weddings and trips) but less than in 2016, which was my most prolific reading year so far. In 2017 I read Chronicle of a blood merchant and Brothers, by Yu Hua, and I really enjoyed his style, very direct and unrefined, even garrulous sometimes. 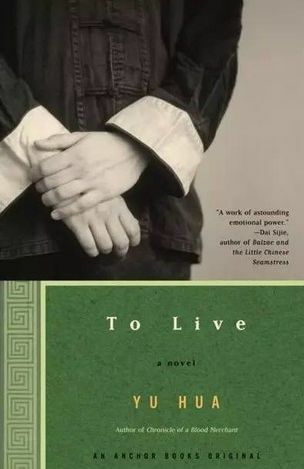 To Live is probably his most famous novel thanks to the movie adaptation directed by Zhang Yimou. However, I remember the movie as a very sad and teary drama, and the book is not. Like the other two novels I read from this author, the dramatic events in the story are often mixed with funny and awkward elements, so you cannot help but laughing at some of the characters’ misfortunes (watching the movie I only felt like crying all the time). I felt as if the book and the movie were completely unrelated, even though they depict the same story, because the feeling they project is different. And even though I love Zhang Yimou, I very much prefer the book in this case. To Live tells the story of Fugui, a man that manages to lose all of his family’s wealth and is forced to live in misery during the Civil War, the Communist liberation and the Cultural Revolution. Highly recommended. Another author that I met for the first time in 2017! Life and Death Are Wearing Me Out is about a rich landlord who is stripped of his land and executed during that time in China when wealthy people were the enemy. He goes to hell but never confesses to any wrongdoing, so Lord Yama (the Chinese version of Satan, I guess) sends him back to Earth, where he is reborn several times as different animals and witnesses the changes experimented in his village since the 1950s. The book is a bit long but very funny and original and, according to Wikipedia, Mo Yan wrote it in only 42 days!! (And I can’t even manage to write one blog post per week… hahaha!). 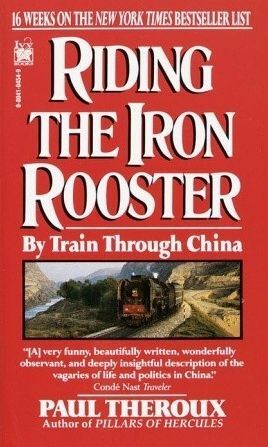 An account of the author’s travels by train in China in the 1980s. In the old green trains, of course, no high speed trains back then! To be honest, I don’t remember much of this book… I think he visited many places, for some part had an assigned government official accompanying him everywhere (like in North Korea, ha!) and he was quite negative about many things. I think this book has not been translated into English. 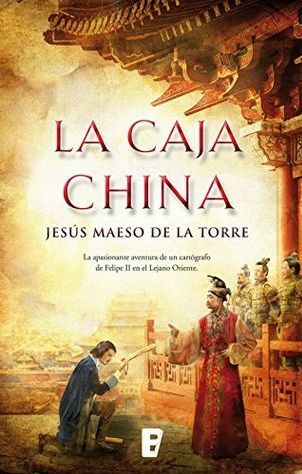 It’s called The Chinese Box and it’s a historical fiction about a young Spanish man in the 16th century who travels to China with a secret mission from the king. Did you know that the Spanish king Philip the Second wanted to conquer China and convert its people to Catholicism? Right now it sounds like a laughable idea, but back then Spain was a powerful empire… and didn’t know much about China, so they thought it was feasible. What did you read in 2018? Any recommendations for my ever growing China-related book list? Oh, the hubris of Phillip II! That made me laugh. It’s a little like the U.S., where capitalists have been convinced for centuries that they would be rich if they could just break into the Chinese market. Because who doesn’t want American shoes? I’ll have to remind myself to get those first two books on your list. I’m all for humor. Pity it was lost in that one movie adaptation, but humor is much, much harder to capture on screen than drama. Oh, Spanish companies are also convinced that China is the holy grail. Because, you know, there are so many Chinese people that if you manage to sell to only 1% of them, your business will boom. Then they come here without doing research of any kind or knowing anything about consumer habits here and have to retreat with their tails between their legs after a few years xD Not all are like this, but many companies failed miserably in their China adventures. I think what happened with the To Live movie was that the director took the chance to make it a political commentary, so he was more interested in showing the horrors of the Cultural Revolution and removed the funny touches to avoid distraction. Oh, that is a bummer. I thought LIFE IS BEAUTIFUL was far superior to, say, SCHINDLER’S LIST because the humor kept the viewer more emotionally involved in the story, rather than retreating or going numb due to the onslaught of increasing horrors. I’d love to connect with you on Goodreads! I did like the movie, To Live, although, as you say, it wasn’t very funny. But i liked the stubborn determination to survive through all those difficult times. I’ve read several books by Paul Theroux, including The Iron Rooster. I always enjoy them, even though he tends to be grouchy. I one of them (I don’t remember which one) he was getting a divorce, and he was really in a bad mood. Haha, if he is usually not very happy and then on top he was getting a divorce… I can imagine the result! Red Sorghum is a book too, although I haven’t read that one. Not sure about the other (old) Zhang Yimou films. Mo Yan and Yu Hua are widely available in English translation! Not sure if all of their books, but for sure a good part of them. Especially Mo Yan, after he got the Nobel. Always love your list. I have about four or five of Mo Yan’s books; love them. I am currently reading the last book of three of Peter Hessler. All about his life in China. This one is ‘Country Driving’ where he is taking a road trip around China by car. I am sure (?) you have heard of him or read his books Marta. He was a school teacher teaching English in China. My favourite books are about the Cultural Revolution albeit very sad but I do love reading about that time in China or any time in China to be honest. I think Peter’s first book is the best about him being a teacher. Bit funny too. Yes I tread Factory Girls as well. I knew his wife was an author but didn’t know who it was. Really enjoyed it. How interesting about your in-laws. Thanks Marta. The only Chinese related books I’ve read are by Amy Tan. 2nd generation Chinese living in America dealing with very Chinese parents and western customs. In no particular order of reading: The hundred secret senses, The kitchen god’s wife, The joy luck club and The bonesetters daughter. I haven’t read them in years, but have still kept them. Every now and then some pages pop up in my head! Also read Empress Orchid by Anchee Min years ago I still have! Almost Chinese related last year I read all of the Crazy Rich Asians trilogy. I loved them! Not Chinese related I’ve also read Memories of a Geisha. I’m very curious to read Life and Death are wearing me out. I’ve put it in my amazon basket already! I read the joy luck club many many years ago, I think I was 14 or 15? I don’t remember anything about it but I know I liked it, so maybe it is time to re-read it! Oh man, To Live was the most depressing thing I’ve ever seen. I’m shocked to hear the book is more lighthearted–but yes, I think those kind of scenes are necessary. Otherwise it’s just… too heavy. I’ve never read a Mo Yan book–and that one sounds crazy! Do you have a fav Mo Yan book you really recommend? Do you read them in Chinese? Oh God no, not in Chinese haha, then I wouldn’t enjoy them as much and it would take me months to finish one book. For the moment I only read this one and The Garlic Ballads, and I liked both! I don’t know if I told, I read one in 2017: wild swans, really touching story. Also some years back a book called 看见from 柴静is also nice. Also 流浪猫鲍勃can be a good candidate for practicing your Chinese, I read it in Dutch when I was learning, very heart warming story ! Yes, I also liked Wild Swans! Cai Jing? Isn’t that the journalist who did the pollution documentary a few years ago? Or am I mixing two different people up?